As part of the Interplay project at THEMUSEUM, Thinking Through Games explores the spaces and places of games in research institutions. This unique collaboration between the Games Institute (University of Waterloo), and the Technoculture, Art, and Games Research Centre (Concordia University) displays a wide variety of ways that academic researchers are engaging with and studying games, through play and analysis as well as through game creation. Engaging and hands-on, the exhibition serves as a space for visitors of all ages to learn about how games are made and studied, showcasing research that looks into the past, present, and future of games. Connecting a diverse range of different games and approaches, the exhibition guides visitors through a wide array of practices, from written analytical and theoretical research, to modding and repurposing of blockbuster games like Minecraft and Fallout 4, to the creation of highly experimental alternative controller experiences. The exhibit serves as a playful invitation for visitors to reflect on and engage with possibilities outside of their preconceptions and expectations of what games research looks like. In MISSING, coordinated technologies and performers are used to teach participants about the nuances of networked surveillance and the attendant paranoia that comes with the institutionalization of these technologies. Roles served: script writer, developer, performer. 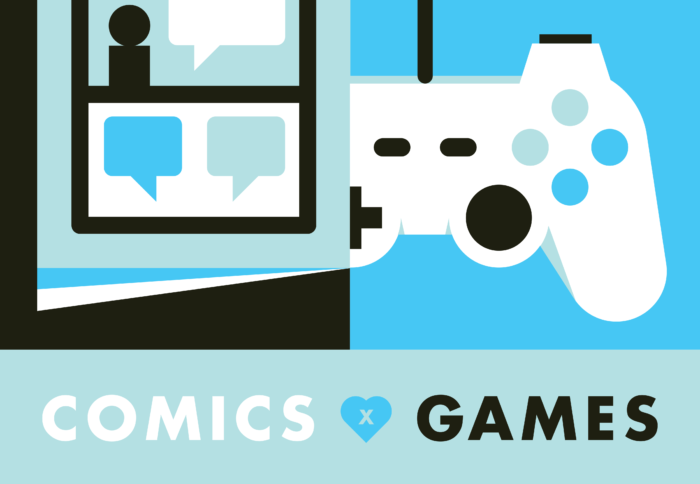 An initiative of The Hand Eye Society (HES), Comics x Games fosters collaboration between the independent game and comic communities through a variety of projects, partnerships and events. Every year with HES partners with The Toronto Comics Arts Festival (TCAF) to present unique, game-focused content — from original games and gallery shows, to panels and talks. Beginning in 2016, Concordia's Technoculture, Art, and Games Research Centre (TAG) entered into collaboration with the ZU-UK Interactive Theatre Collective to produce a series of workshops, art pieces, and installations geared towards merges interactive digital media with human-centred experience. The 2016 summer workshop, conducted across the Atlantic at both Concordia University and the Games and Art Stratford London station, resulted in a range of hybridized objects that incorporated social media, salvaged board games, AI, and handcrafted art. Roles served: developer, artist, showcase organizer. Feminist voices and gender critiques come in a variety forms. While work like Anita Sarkeesian’s Feminist Frequency video series provides us with pointed and topical critiques of narrative tropes featuring representations of women in digital games, an array of feminist practitioners directly address similar themes and issues through the creation of new works; engaging in practices along a spectrum of 'feminist frequencies'. In light of the rise of reactionary, anti-feminist movements in gaming and other cultural milieus, this edition of Salon Ludique offered a response to such troubling trends by exploring gender-critical practices in digital and analog games, performance, and new media. These works serve as a critical commentary on gendered stereotypes, as well as questions of consent, sexuality, and identity. 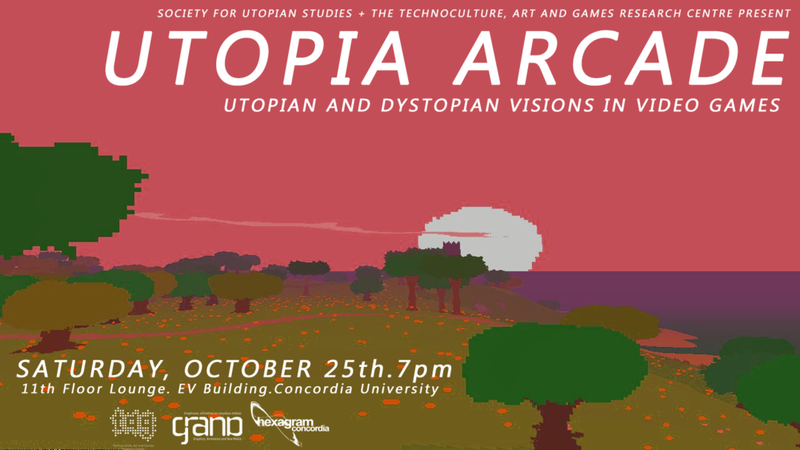 Through the creation of imaginary and possible worlds, the medium of digital games has long been a site for the exploration of utopic and dystopic cultural themes. Join researchers Carolyn Jong, Kalervo Sinervo, and Skot Deeming, from the Technoculture, Art, and Games Research Centre, as the present an exhibit of games which touch upon these themes. The games in the exhibition feature visions of alienation through labour, unpopulated desert islands, overbearing bureaucracies, autocratic governments, the perils of capitalism, and the instability of memory. The works selected for this exhibition were produced by independent video game developers from around the world, each one offering their own unique perspective of what constitutes utopia or dystopia. Join the curators in a conversation about these works, take some time to play and explore, and enjoy a twilight view of downtown Montreal from the EV Lounge's 11th floor terrace.